I’m always looking for fun games to play on our Family Wii Nights. Wii is definitely the way to go if you’re looking for family based fun! We’re moving and having fun as a team! Disney Interactive Studios developed the following three games that we were lucky to review. Disney Tangled: The Video Game – I give this game our IT award! My family and our friends saw Tangled in the theater. My daughter and her friend loved the movie! Disney Tangled: The Video Game for Wii game loosely retells the movie’s storyline where you take Rapunzel and Flynn Ryder on a fantastic quest to conquer challenges and solve puzzles in order for Rapunzel’s wish to see the floating lights and meet her real parents come true. 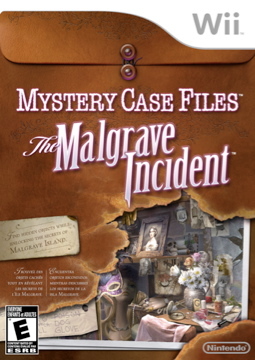 If you have not seen the update of this fairy tale, just watch the opening scenes of the game. Basically, the characters race across storybook lands to collect items and unlock new colors plus interact with some interesting characters. Start off in Rapuzel’s Tower and make sure to paint the mural. My daughter enjoyed painting the mural and the Flynn Ryder Wanted Signs that actually become part of the forest scenery. Each character has a special ability. Rapunzel can use her long locks to swing as well as spin around to instantly grow flowers in the forest. 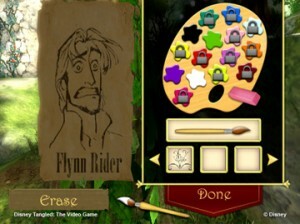 Flynn’s knife can be used to break things and uncover buried treasure. It was tough to get the hang of swinging Rapunzel’s hair and then get Flynn to climb up her golden locks. My daughter’s favorite option is Hold My Hand. Rapunzel and Flynn can grab hands to guide each other around. You also have the option of switching between both Rapunzel and Flynn to use their abilities to get through the levels. We have yet to clear First Frolic but we are excited to figure out the next quest. There is some light cartoon violence where you can break stuff and hurt the guards. Although, I like the fact that the characters don’t die. The game play is easy, amusing and thrilling for my daughter who absolutely loved the movie. One tip- Make sure you look out for butterflies, they give you clues on where to go. 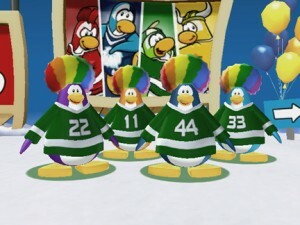 Play up to 4 players. 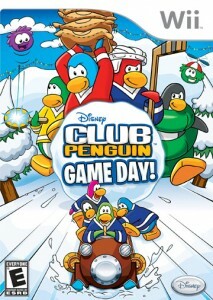 Disney Challenge All Star Party – I’m sure this game is a huge hit for Disney Channel fans. 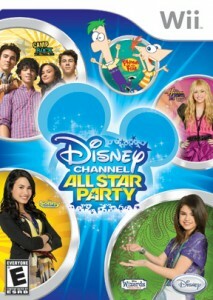 Hannah Montana, The Suite Life of Zack and Cody, Wizards of Waverly Place and Phineas & Ferb are all the favorites that can be found in Disney Challenge All Star Party. My daughter is far from being a ‘tween’ and has yet to see any of the shows included in this game. Select a Disney Channel Star and Play in the All-Star Party mode or Free Play. You can choose a location and engage in mini-games. Mix up characters and have a water balloon fight, play Tug-O-War or play some Foosball! There are also polls in the game that were too advanced for my young daughter. I do know the personalities featured in the Disney Challenge All Star Party game, but not so familiar with the shows they star in. However, that didn’t distract us from the fun and variety of games that you can play. Disney Challenge All Star Party is a game for 1-4 players. MAIN ENTRY – Tell us why you want to win Disney Tangled: The Video Game and who would you give it to if you won. Leave a comment in the reply box below this post. This giveaway will run through midnight on February 22, 2011 (PST). Winner will be chosen using Random.org from all valid entries and notified via email. Winner will have 24 hours to contact us before another winner is chosen. Giveaway is open to U.S. residents only (18+). * We did not receive monetary compensation for this review. That’s IT Mommy received a copies of the above listed video games free of charge in order to facilitate this review. My son would love to play this on Wii OR DS, he is getting better and better at playing video games… I love that it helps his hand-eye coordination. And this looks like a game I would approve of (not violent or anything like that). I like you on FB (I’m Jade Clark). I follow on Twitter (heyjade). I tweeted the message (heyjade)! My daughter would LOVE to play this on the Wii or the DS, she is just now starting to get into games and anything that is a Disney Princess is her fave! I want Disney Tangled: The Video Game because we love all things Disney and my daughter would love this game. She is the one who would get it if I won. I would like to win this because I enjoyed the movie. i would give this to my niece. I want it for my kids because it looks like a fun game. I want to win Disney’s Tangled because I love to play Disney games especially the ones made for girls and if I won obviously it would be for me. I would love to win either one of these for my granddaughter because she loved the movie and I know she would love the game. My girls loved this movie and I know they would have so much fun playing this game. Thanks for the giveaway!! My kids and I loved this movie, it is so much fun! But I will admit, I’m still looking for a game that I can beat my kids at…. maybe this would be the one! Nevertheless, we would all love to try this out! I want this game because we loved the movie. I would give this to my daughters. I would love to win this for my daughter. She loved the movie and I think she would really enjoy playing the video game. This would make a fun family night! My daughter would love this game for the Wii or Ds. Saw the movie at the theater and it was awesome. I would like to win Tangled because it looks like a fun game. I would give it to my family, I think we would all enjoy playing it. 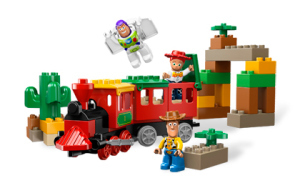 I would like to win this for my daughter because she loves this movie and doesn’t have many games. I entered the Alice in Wonerland giveaway 1. I entered the Alice in Wonderland giveaway 2. I entered the Alice in Wonderland giveaway 3. 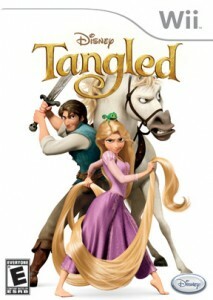 I would love to win the Tangled game for the Wii….I would give it to my 5 year old cousin. She loved the movie! My niece is a huge fan of the movie Tangled and if won I would give it to her for her birthday. I want Disney Tangled: The Video Game because we love all things Disney and my son would love this game. He is the one who would get it if I won. I would l like a nice family game to play. I would give it to my kids! I would love to give my grandkids the Tangled Wii game. They so did love the movie. Told me that the horse needs his own movie..he was so funny..but they want him to talk next time! We loved Tangled the movie so I would love to give this to my daughter!! I heard the movie is super cute! I would love to win this for my daughter! I entered Alice in Wonderland! I commented on your turkey chili post! My niece has been pleading for this game but my sister nor I can afford it. This would be great. Thanks. I’ve read some pretty good reviews on the Tangled game for Wii. Sounds like the game developers are finally getting it and not just throwing out something poorly made with some movie tie-in. This would definitely go to my daughter or her friend. Either one would get a kick out of it (or they’d play it together). I would like to give it to my daughter becuase she likes this movie. She has the tangled doll and she would love to play the game on Wii or her DS. Thanks for the chance. The kids saw this movie and love it, I’m sure they would be so excited to have the Wii Game! I’d like to win it because we could use a more girl-oriented game. I would give it to my 9 yr old daughter. I would love Tangled because we saw the movie and LOVED it. Pascal is adorable and Maximum is hysterical. It would absolutely go to my niece who adored the movie – we went to see it 3 times! I know she’d love the game. I like t.h.a.t.s.I.T. mommy on Facebook (Amanda Davis) Thanks! I would love the Wii game for my son because he really enjoyed the movie. I want to win this for my daughter because she really, really loved the movie! the reason that I want this game is because it’s family oriented and that it’s very kid friendly and clean. i have a nieces and a nephew who are in elementary school and this is who i would give to to. nice good ol fashion clean fun is my kind of game. thank you for the chance. i would love to win this bc my mom just got a wii and we play it together on sundays after church/dinner. it is fun even with the resorts games but my 4yr old would be in heaven to play disney games!! We are getting a we and would love to have tangled and it would be for our kids. My 3 year daughter old is Tangled obsessed and I must admit – it’s now my favorite Disney movie too! loved the movie and my nephew wants more wii games! I would love to win this for my niece. She loves all of the Disney princesses. She saw Tangled and really enjoyed it! Thanks! This looks like a lot of fun. My son would love playing it. Took my son to see Tangled and we loved it. We would love to play Tangled on the Wii together. This would be a gift for my nephew, but I am sure the whole family will enjoy playing. Thank you for the fun give-away. I would give the game to my son. He loves his DS!! I’d love to win this for my bff’s daughter! Her borthday is coming up and she loves new ds games! I would like to win this for my daughter. She loves movies! I would love to win the game because it looks like a lot of fun! I would love to win the Tangled wii game for my daughter! She loves the movie! I’d love to give this to my daughter. I’d like to win this because she and I could play this together. I entered the Dora giveaway. I entered the California hair tie giveaway. We havent seen the movie yet, I hear its good. We like to play Nintendo. I would love to win this for my daughter. We only have 1 girly wii game! I would like to win this for my daughter’s birthday and I would give it to her! I would love to have this game as a surprise for my daughter who loved the movie. Looks super fun! The movie looks good too – I’d give it to my little brother. I would win it for my daughter. She LOVES Tangled and Rapunzel. My daughter would love this on Wii or DS. We saw the movie in theatres and it became her favorite movie. I entered Alice in Wonderland. 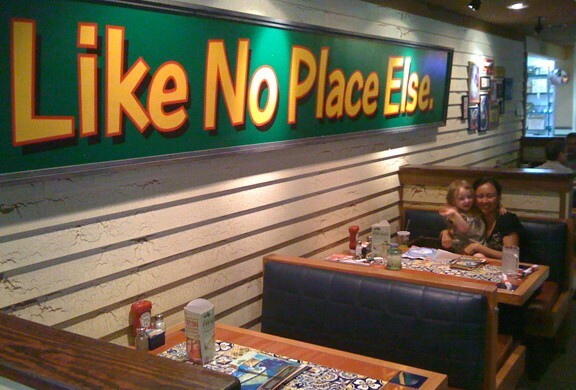 This would be for my son and daughter to share;). We also LOVED the movie and I like that the Wii gets my kids moving and having fuN! This would be for my niece. I took her to see the movie and she loved it. This is a game that we could play with our grandson on our Wii. I’d give the game to my neice who loved the movie! My daughter would love this game…because she is all about the princesses!!! I want to win this for my kids because they would love it! I would like to win the Tangled game because we all loved the movie and this game sounds like so much fun. I would love to win it for my two kids. We all loved the movie Tangled and would love to play this game together! I’d love to win this for my children, but also for me so we could enjoy this together! I would like to win Disney Tangled: The Video Game for my niece. She loved the movie. My daughter loves tangled and and I would give this to her! My daughter really wanted to see this movie and we didn’t make it to the theatre to see it. If I would win the Wii game, I would give it to her. My daughter didn’t get to see the movie yet but would love the game. Tangled is the first movie I saw with my daughter so I’d love to give this game to her. I would LOVE to have this game. ALL of my games are Disney and I collect EVERYTHING Disney! This would be mainly for my daughter but I would probably play it, too. I want to win because I know she would love it. We loved the movie, I would play it with my family, thanks for the chance! I would love to win this for my granddaugher, she just loves it. I would like to win because Disney games are always a lot of fun. I’d give it to my niece. Liz and Tristan enjoyed the movie. I know they’d like playing a game based on the movie. I’d love to win this for my niece. She loves Tangled and I know she’d be thrilled to play this on her DS. I like you on FB: Nikki Marie. I entered the Gum Drops Hair Candy $40 GC giveaway. I entered the ScrappyNaps Reusable Placemat giveaway. I entered the Dora Ballet Adventures DVD giveaway. My daughter loved the movie and I’m sure she would enjoy the video game. I want to win because I just took my daughter to see this (finally!) movie last Saturday and she loves playing on the DS. She has 4 brothers so this would be all for her! I want to win this because my kids would love this. I LOVE anything with princesses (yes, I am 29) and had Disney music at my wedding 😉 I would love this for my sweet little girl too of course!!! Thanks!! My daughters have wanted this game since it came out for the wii! I would love to win this for my boyfriends daughter because she Is always asking us for new wii or DS games! I would like to win this, because it looks cute. i would give it to my 8 year old daughter.. 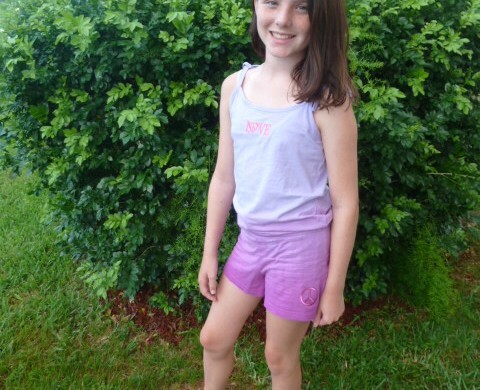 I would like to win because it’s good, clean fun for my daughter who would love it. I would give it to her. I want to win because it looks fun and my niece would love it! I want to win it for my kids.. they’ve been wanting to see the movie. My daughter would love Disney Tangled. Thanks!